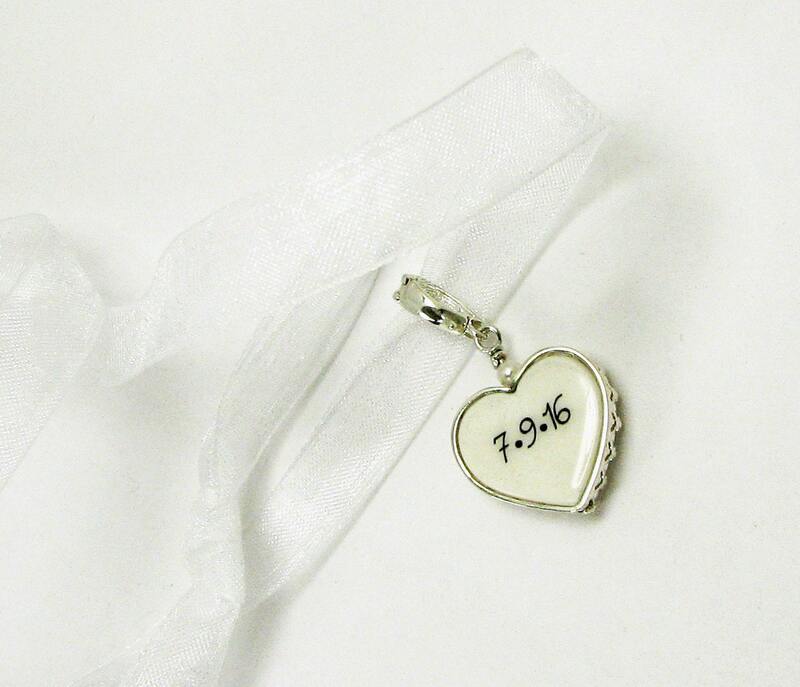 This beautiful, sterling framed memorial charm is so precious! 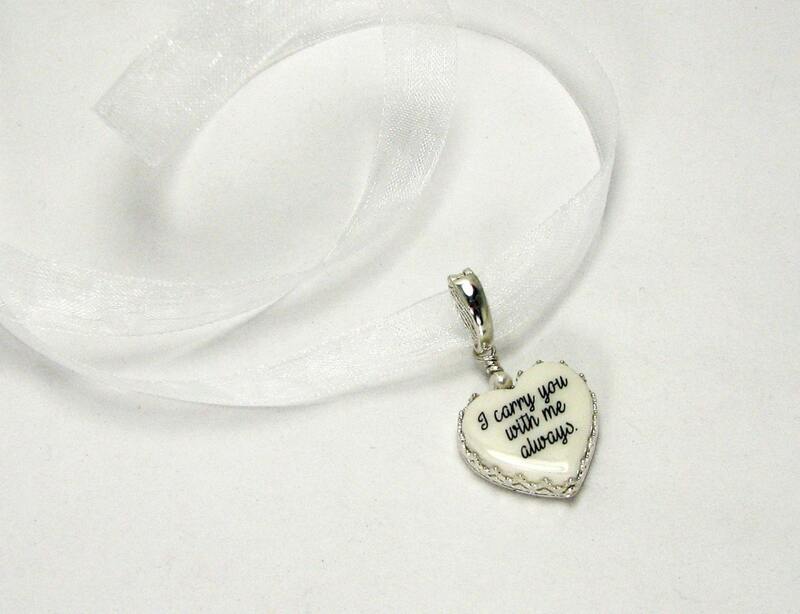 It is a two-sided, heart shaped bouquet charm that is .65" at the widest point. 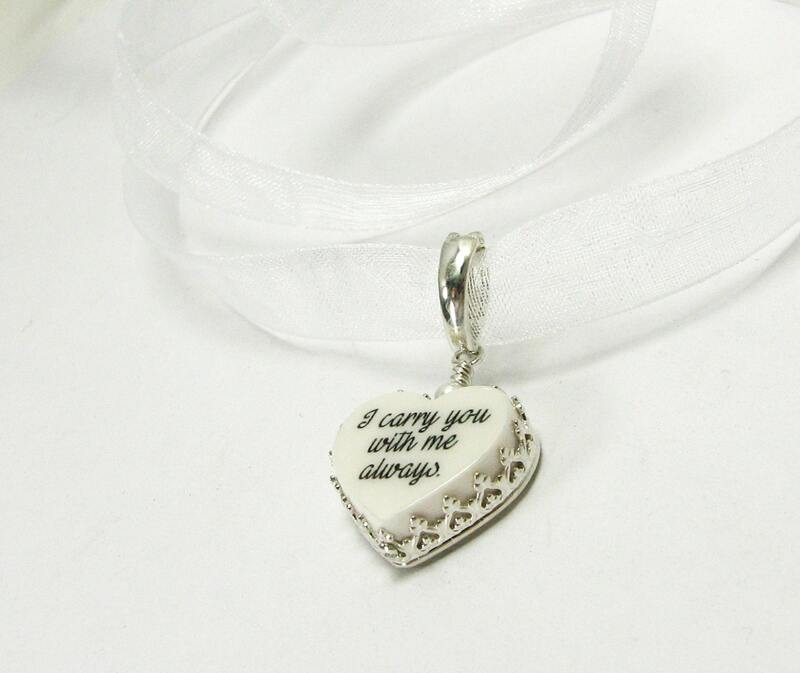 It comes on a long strand of white or ivory organza ribbon; simply include your color preference with your order. You can have text images as shown above, or photos. 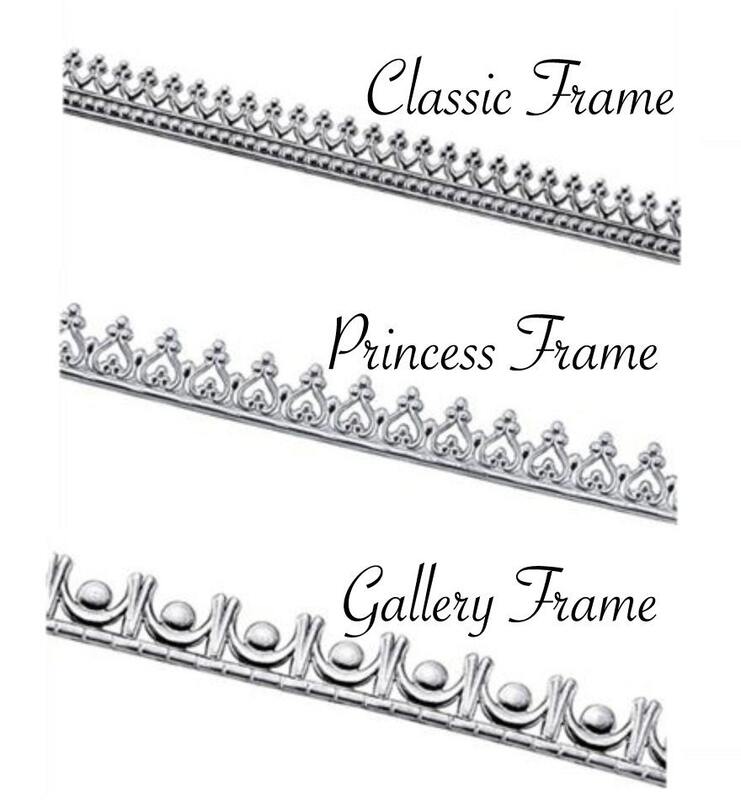 This photo charm is designed to display one photo on the main side, and a second image on the back. It comes with Swarovski pearl on the top to match your ribbon. 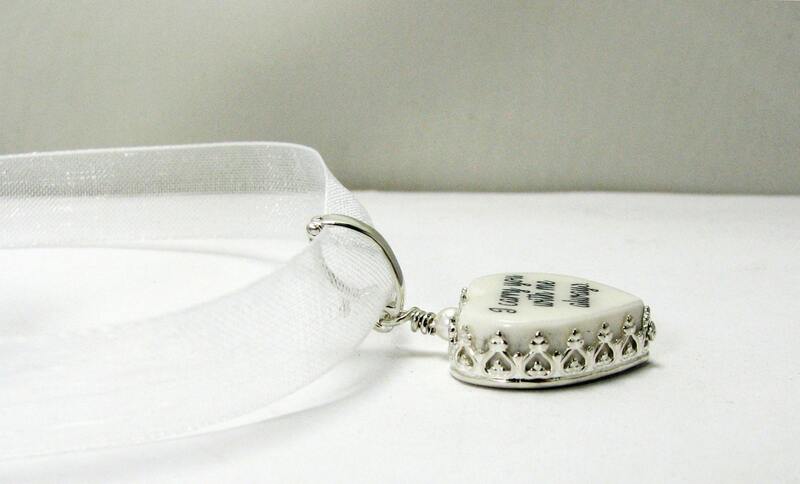 Simply place ti on a chain and it makes a stunning pendant after your ceremony.